I joined the Newschannel 9 Sports Team in August of 2006, and since then I was a recipient of the 2011 EMMA award for NC9 Overtime, our #1 rated High School Football show. 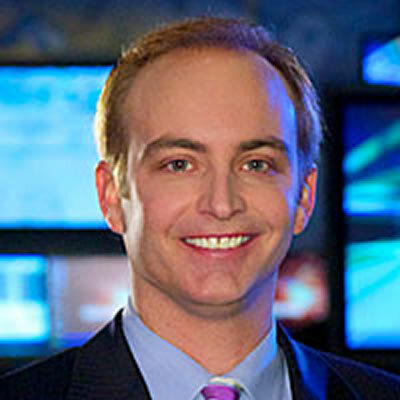 I came to El Paso from KSWT-TV in Yuma, Arizona, where I served as Weekend Sports Anchor at KSWT before becoming Sports Director in November of 2004, winning the 2005 Arizona AP Award for Sports Coverage. I’m proud to say I was instrumental in starting up ‘The SportsZone’, a Sunday night sports show with on-set interviews with local coaches and players. During my time there, I also had the opportunity to produce and co-anchor KSWT’s Friday night football show, ‘Friday Night Blitz’, a big hit in Yuma and El Centro. From September 2002 to November 2004, I was the Sports Director for ‘The SportsDesk’, an award winning 30-minute sports show at Torrance, California’s CitiCable 3. My efforts earned me the 2003 Western Access Video Excellence (WAVE) award. In the Summer of 1998, I interned with WNBC in New York City, and it was there where I fell in love with the sports industry. My birthplace was Manhattan Beach, California, and I am a proud graduate of Florida State University with a degree in Communications and Minor in Business. I love spending time in the Sun City, hiking the Franklin Mountains, and taking in all the delicious Mexican food the Borderland has to offer! Most Memorable Interview: Rickey Henderson (twice) with the N.Y. Mets and San Diego Surf Dawgs. First Story: Dove Hunting in Yuma, 2004. Favorite Sports Team: Florida State University Football, Los Angeles Lakers a close second!